For sale Apartment T3 with excellent areas and top level finishes and surround sound system. Excellent sun exposure. * Large room with about 40m2, floating floor in oak and fireplace with stove. 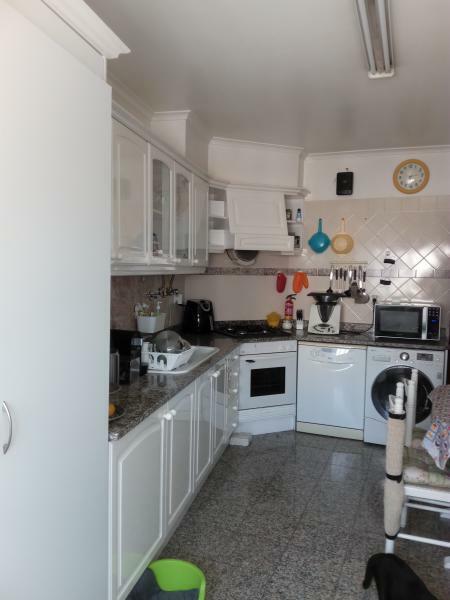 * Kitchen about 17m2 with white lacquered furniture, granite countertops, with hob, oven and water heater. Floor in granite equal to the workbench. * Bedroom suite with about 20m2, with floor in oak floating floor, having a built-in wardrobe with 2 doors. WC suite with poliban, white furniture with built-in washbasin, pink marble top. Floor in pink marble equal to the top. * Bedroom 1 with about 18m2 having a built-in wardrobe with 3 doors, floor in floating oak floor. * Bedroom 2 with about 16m2 having a built-in wardrobe with 3 doors, floor in oak floating floor. * Hall and corridor with about 10m2, with false ceiling in wood with spots of light inlaid. Floating floor of oak. * Bathroom with 8m2, with bath, white furniture with built-in washbasin with pink marble top. Floor in pink marble equal to the top. 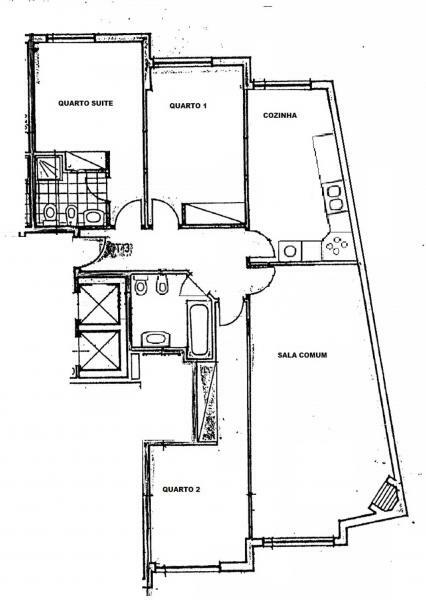 * Starage space in the basement with 4m2 of right foot. All windows are white frame, double glazed, refurbished about 7 years ago. Floating oak flooring refurbished 4 years ago. Building with access to people with reduced mobility. Apartment in quiet and quiet building, with a careful maintenance, having been painted in the summer of 2017. The property has a breathtaking and stunning view over part of the Serra de Sintra, located in the urbanization of Fitares (Rinchoa), just in front of the shopping center (with Pingo Doce supermarket and Espaço do Cidadão de C. M. Sintra, among others), 10 minutes from the train station on foot(trains to Lisbon and Sintra). 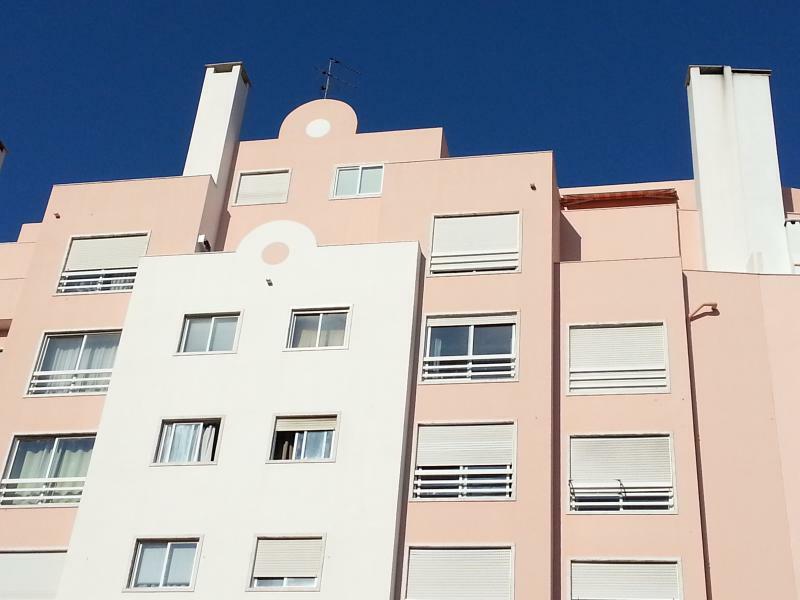 Condominium of 38 € monthly, well organized and managed by the condominium owners themselves.